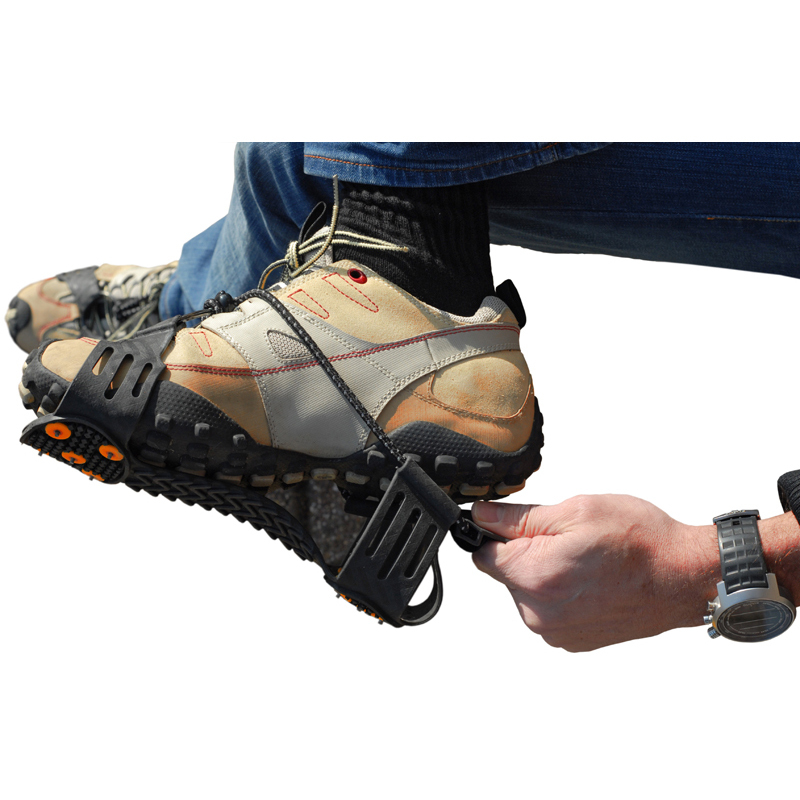 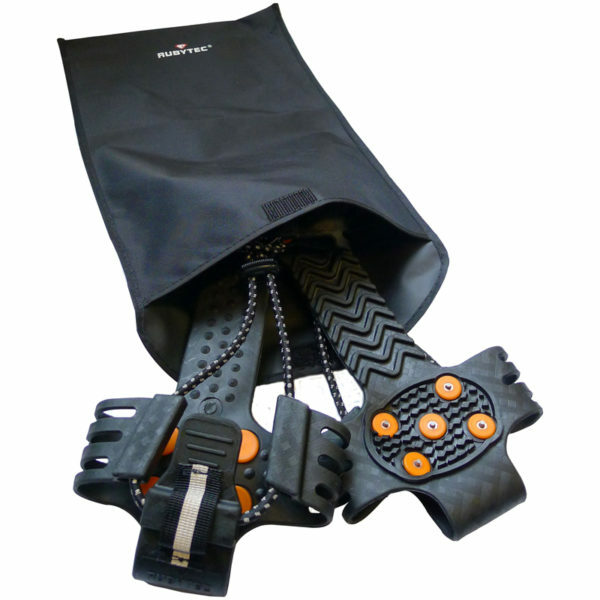 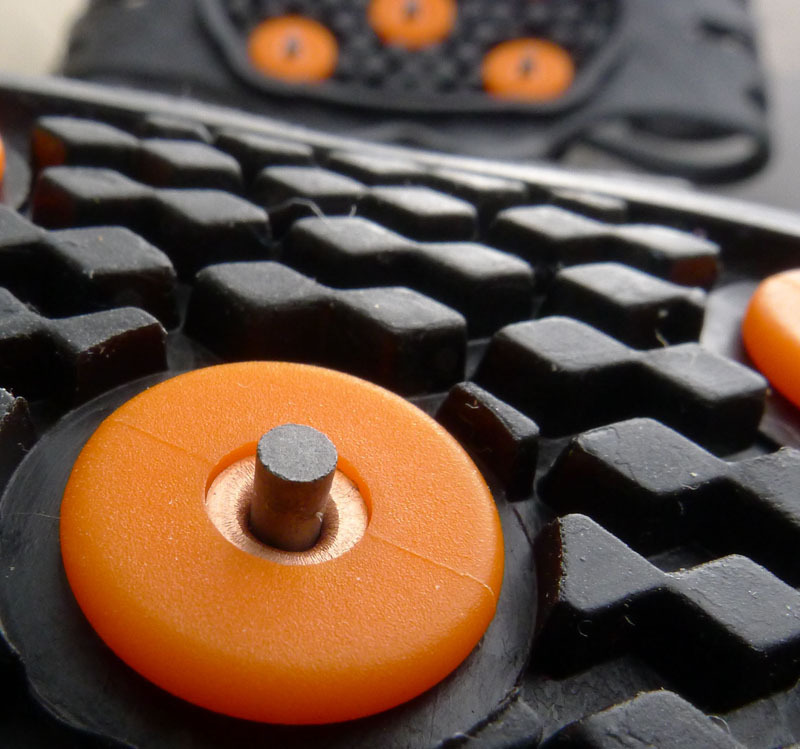 Husky is an overshoe spike system for active joggers that can be easily put over the shoe’s sole. 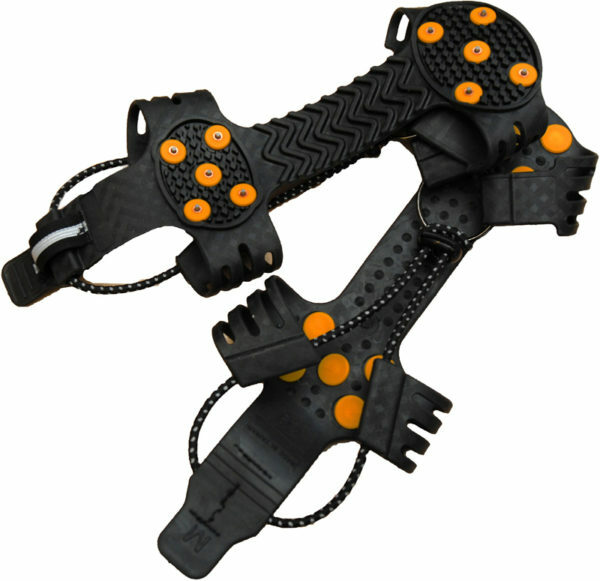 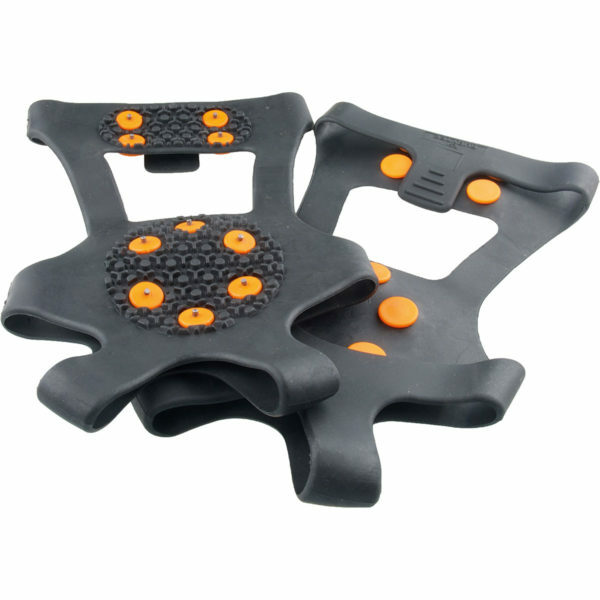 Its 20 spikes made from Tungsten special steel provide optimum grip. Its adjusting strings are reflective, a safety advantage at night. 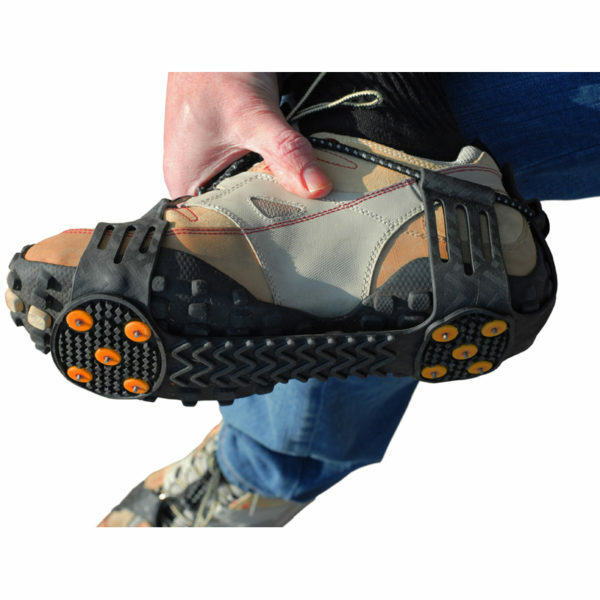 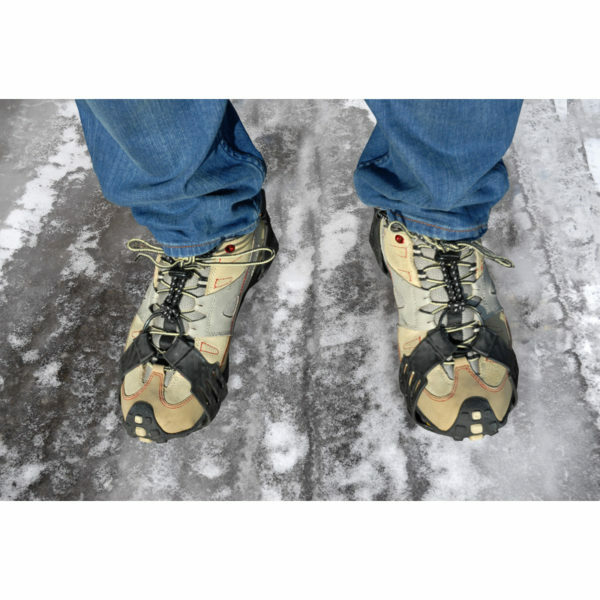 Husky is very simple to put on, just step in with your toes, pull the overshoe firmly back and tighten it over the heel. 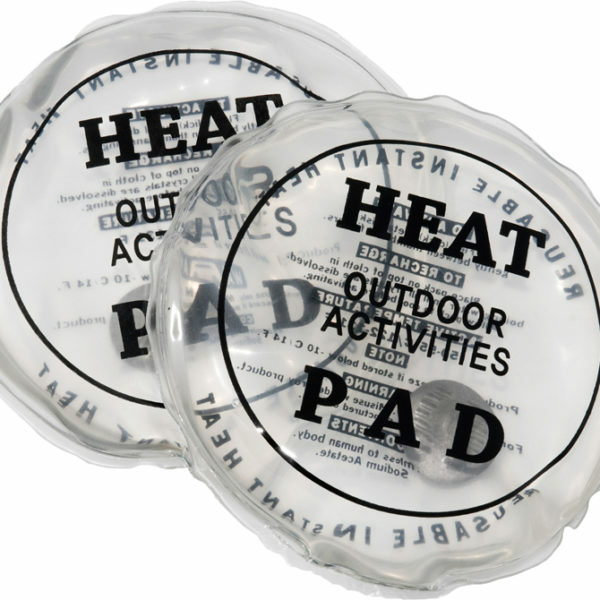 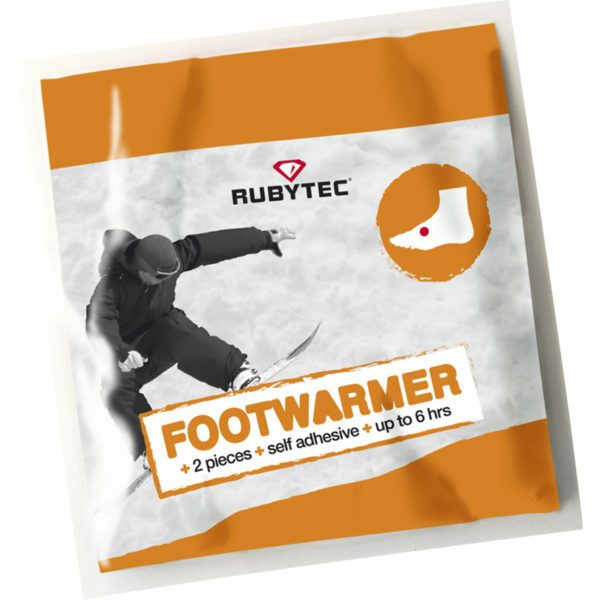 The TPE rubber is resistant to the cold and is effective at temperatures of up to -40°C.